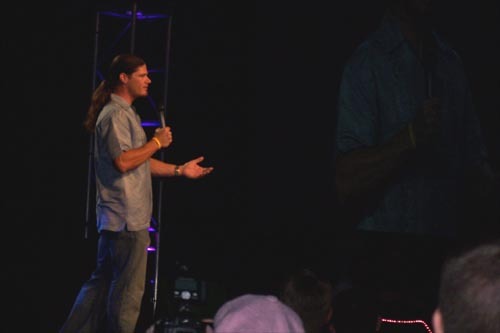 Truth be told the whole QuakeCon experience was unreal, I spent a lot of time answering questions about the mod whenever someone walked up on it, by the second day I had the whole FAQ spiel down no problem... but after explaining the mod for the umpteen millionth time I began losing my voice. 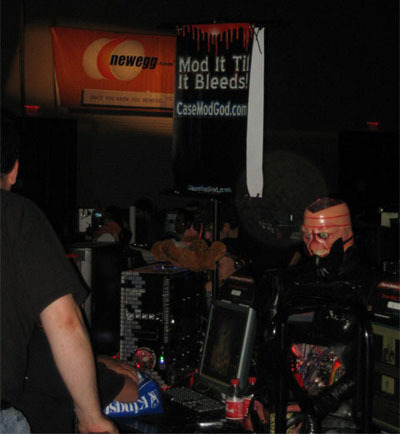 This next shot came off the NewEgg site and shows both our banners, my mod and part of me in the shot... which is only cool because the hardware for the Cenobite mod was purchased mostly at the Egg. 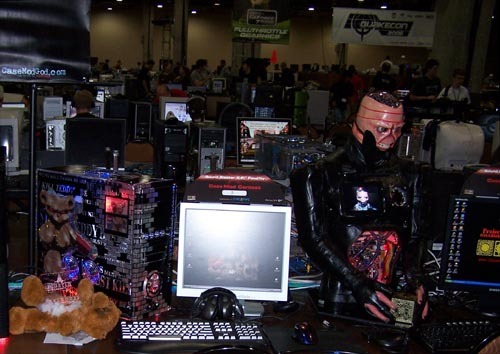 There was a girl at QuakeCon that walked up to me and said my Cenobite PC was "F*cking hot" and that she would "so do him" (I have a witness), after what she actually said had set in I threw up a little and slo-o-o-wly backed away from the weirdo. 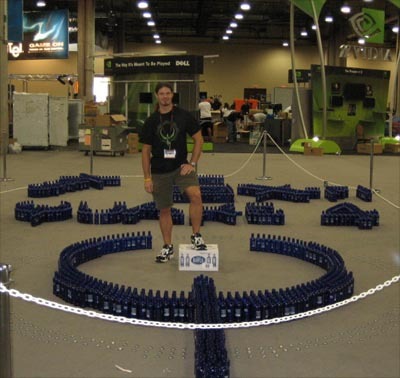 Below is Todd Hollenshead (id bigwig, king of QuakeCon) standing inside a Bawls bottle Quake logo tribute. 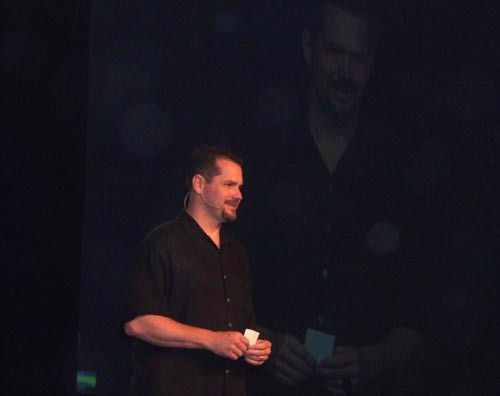 Since I had a press pass getting shots like the next few were easy, below Todd is giving his state of the Quake union address.